I’m starting to think about creating items to make available for purchase. 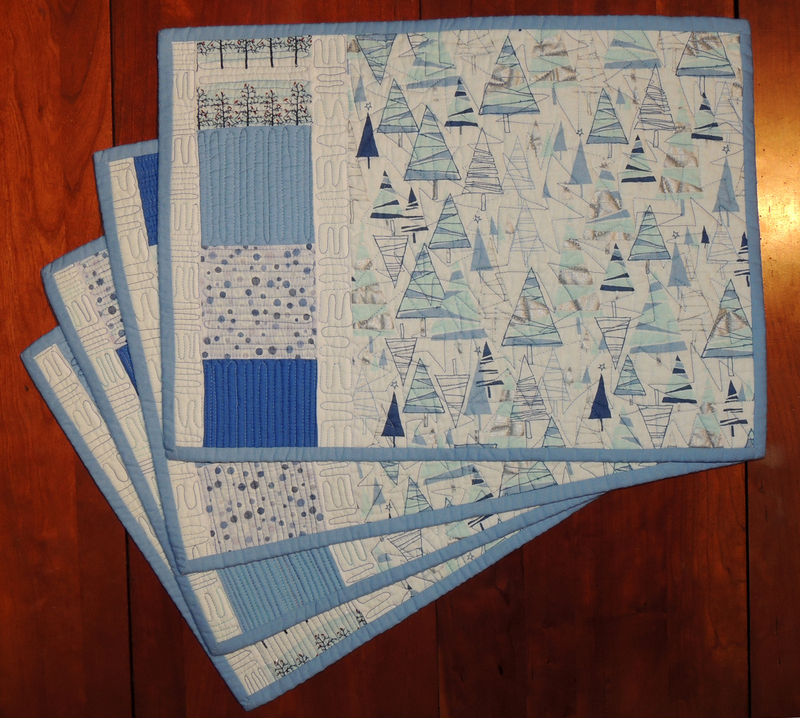 In that vein, I have been buying specialty fabric at after season sales. 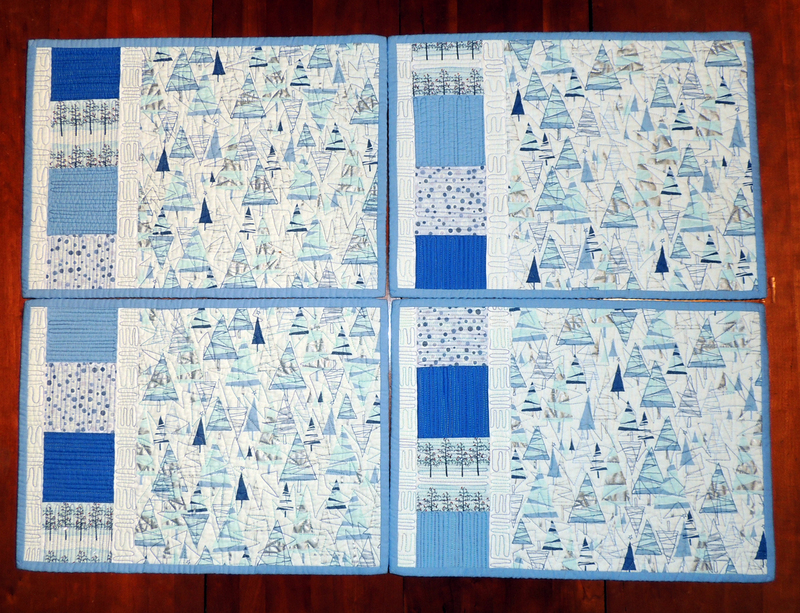 I just finished a set of 4 Christmas themed placemats. 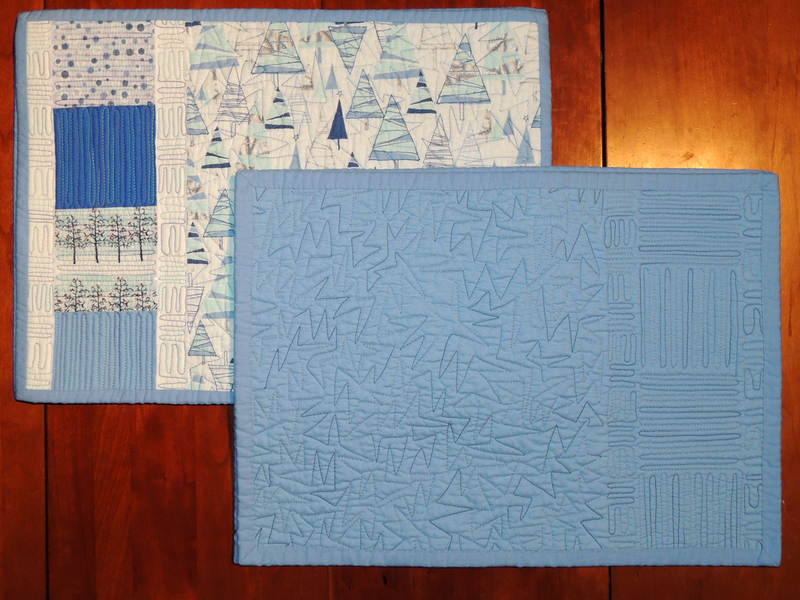 Maybe one day I’ll have enough backlog of quilts and quilted items (like these placemats) to open an Etsy shop. Who knows! 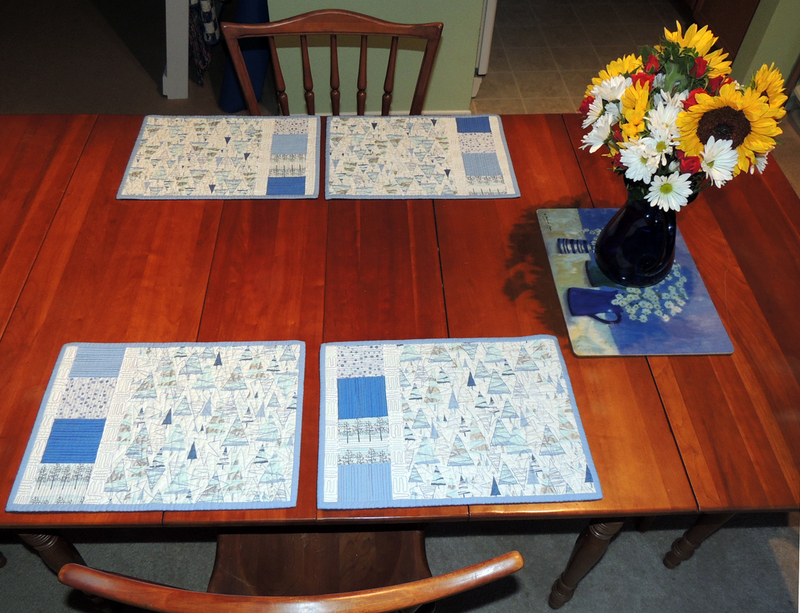 Regardless, I had a lot of fun making these placemats because they were the first real items that I free motion quilted!